It is the end of January 2019 and the winter weather is predicted to be an arctic vortex of cold air that will grip much of the US. Would you even consider gardening in the winter time after an artic event like this? I raise my hand because I love the challenge. Winter gardening is certainly possible with a few garden hacks & applied techniques. You don’t have to be en expert or experienced gardener to grow plants in the winter. However, you might want to start off with just a few plants and some simple techniques first to get more comfortable growing in the winter. The following tips below will serve to give you an idea of the basics of growing vegetables during the winter. Gardening in the winter can be as simple as having a container of lettuce that you harvest slowly over the course of the winter. It could also morph into constructing a cold frame for an entire garden bed. You will also discover a fantastic resource from a delightful winter gardening expert. Niki Jabbour is one of the premier gardeners on the topic of gardening in the winter. You will learn about her best selling book, “The Year-Round Vegetable Gardener” which you can check out here. 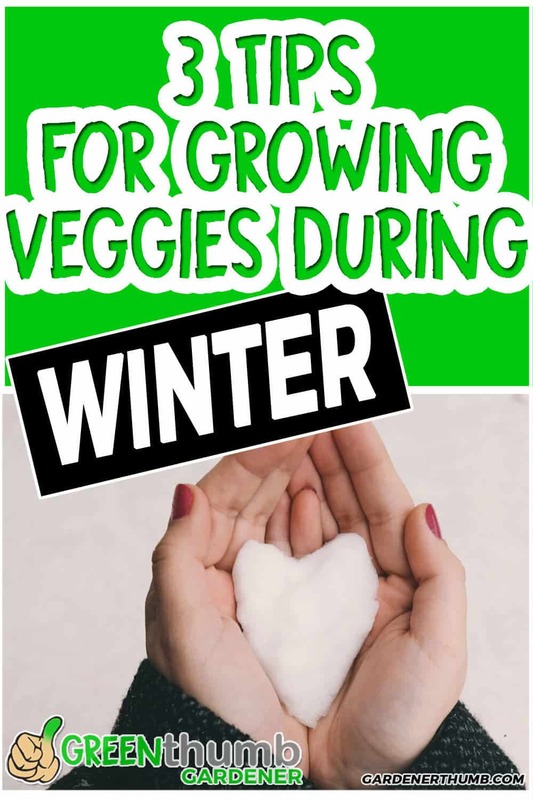 1- Veggies in the snow – What can you plant in the winter? You must suspend your beliefs about growing vegetables during the winter. Sure, it is extremely cold out, frost is present on all the windows, and you have a foot of snow outside that you just shoveled. What vegetables could possibly survive this artic torture from mother nature? There are certainly many different plants that you can grow during the winter. You may think that you can try to grow just about anything, but it best to stick with vegetables that can take a plunge of the thermometer. This list is not complete, but hopefully, you get the picture that you have a wide variety of plants that you can choose from for your winter garden. It is best to start with a vegetable that you may be familiar with growing year round. This will give you the confidence to extend your garden harvest into the winter. My favorite vegetable to grow during the winter is lettuce. It is so easy to start a container full of them towards the end of the fall season and continue harvesting for most of the winter. Check out the next tip below for more information about when to start a winter garden. 2- Winter Gardener’s Clock- When should I start a winter garden? Writing this made me think of the Disney cartoon movie Frozen. You might be like me and have some younger children that played that watched that movie several times over. The frozen winter village image filled my head. There must have been a big towering clock that has snow and ice on it. I’ll have to ask my kids for sure even if it means watching it again. Getting your timing right for planting vegetable for a winter garden is crucial. More importantly, is understanding why it is important. The winter time is all about hibernation and nature tends to conserve its energy for growth in the spring. Planting a garden during the winter has this caveat that plays into the rhythms of the mother earth. Plant growth slows down at this time of year as the days shorten, temperatures fluctuate and darkness increases. This is important to understand because your vegetable plants may not grow as fast as they would in other seasons. Here in zone 7B, our winter garden starts in September/October. You may need to start earlier or later depending on if you live in more extreme zones. The Fall season is a good time to get started with your winter vegetables. It is vital to give your plants time to mature enough prior to the cold season hitting your area. You may find your plants don’t mature as fast in the winter with less sunlight exposure. Starting a winter garden a little later in the season. 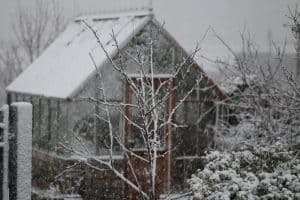 You can always start your plants indoors and transplant them outdoors in the winter if you are using a polytunnel or other structure like a cold frame. You just need to make certain that your soil is not frozen. Keep in mind that it will be a shock for your plants when you first transplant them in if it is extremely cold. Get an earlier jump on the spring growing season. You can always start your seed indoors in a container and then transplant them outdoors in some structure you have. You can even keep it simple if you live in a warmer climate and just cover your containers with plastic if the weather dips below freezing. This is one of my preferred methods because it is just plain easy and works. 3- What goes in a winter garden? You can refer to the list above for some of the vegetables that you can grow in the winter. You probably want to start with some of the basics if you have no familiarity with growing a winter vegetable garden. 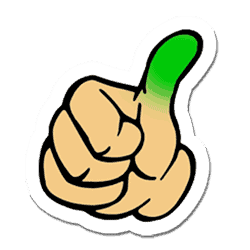 Our Green Thumb Gardener recommendation is to start with either lettuce or carrots. Lettuce is a versatile winter vegetable that grows well during all seasons except when it is hot. It thrives in cooler temperatures and most varieties will not bolt during the winter time. You can grow it in a pot or container, so it is easy to transport around or cover up if the weather really gets extreme. Check out this post here for an extensive guide on growing lettuce and step by step instructions. Carrots are one of those vegetables that thrive in the cold winter weather. The carrots always taste sweeter than ones that are grown in warmer temps. There is nothing like pulling up a few carrots from the ground or your container when it is freezing outside. You really should grow carrots in your winter garden. Check out this post here for more information on growing carrots in a container. There is always at least one container of carrots growing during January in our winter garden. When you first embark on a new adventure, you need a guide and a reference. My choice for a guide and a reference was Niki Jabbour‘s book called “The Year-Round Vegetable Gardener“. Seeing the picture on the book cover of Niki pulling out a bounty full of vegetables in the snow stirred my curiosity enough to flip through its pages. A barrage of different techniques that will help you extend your garden into any season, whether it be the dead of winter or early spring. This section has many chapters that include topics ranging from Intensive Planting to Growing into Winter. You will find great an abundance of details on techniques in this section that can be applied for growing during the winter. It really has a wealth of winter gardening structure ideas to serve as inspiration on growing during the winter. It was the main reason why I purchased this book. This section has a break down of all the Year-Round Vegetables that you can grow. It is an extensive reference to learn about the different types of vegetables, planting & growing tips during the individual seasons. It also features Niki’s Picks of the different varieties of vegetables that are optimal for growing in the winter or other seasons. 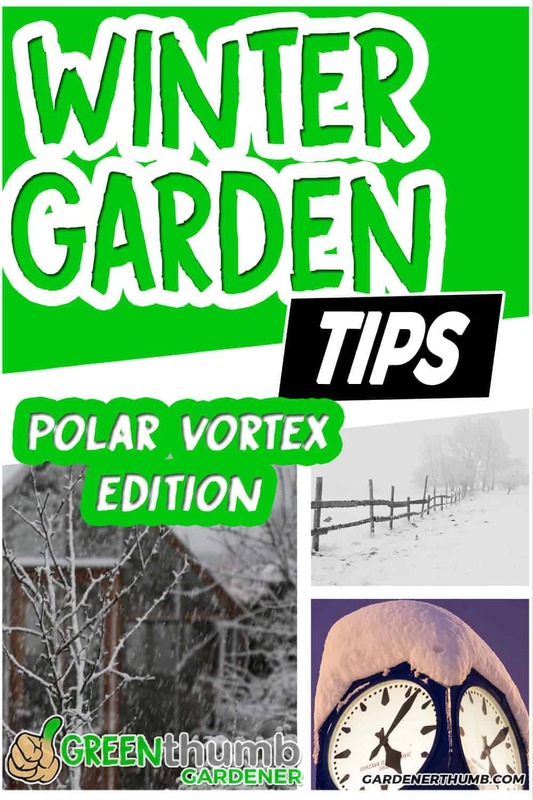 Following these simple tips and learning from the experts of winter gardening should hopefully give you a boost to try it out. Start off with 1 simple vegetable and you might be ringing in the new year with fresh lettuce packed in your winter garden. Niki’s Jabbour book “The Year-Round Vegetable Gardener” can be found on Amazon here. She is also a founder and contributing author for the site Savvy Gardening if you want additional expert winter gardening advice.